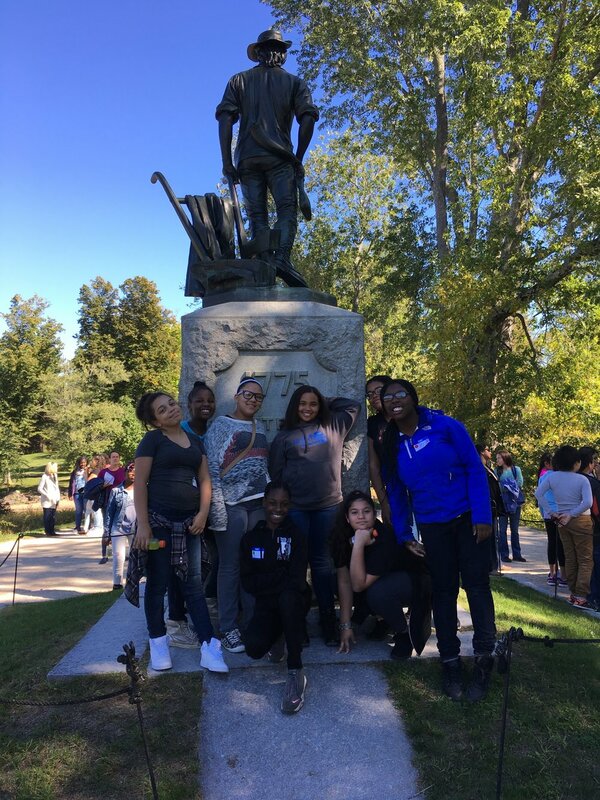 On Wednesday, October 5th, the TechBoston girls and the Young Achievers boys visited Concord, MA for a culturally and historically rich tour of the town. 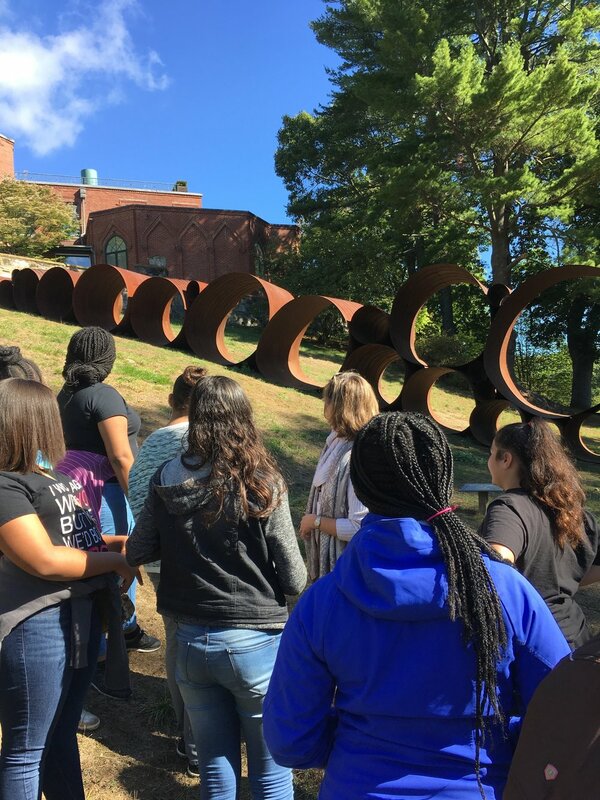 HL-Boston students' first stop was the deCordova Sculpture Park where they were guided around the beautiful grounds while learning about the various sculptures and their artists. Eternal Presence, a large head made of bronze, was one of the favorite pieces of the day. 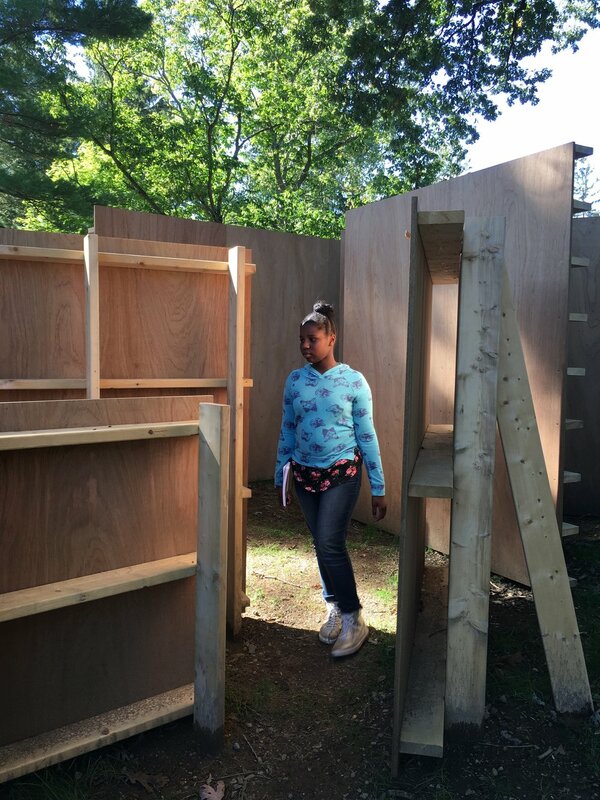 After the deCordova, HL-Boston students traveled to the Robbins House, an organization focused on educating its visitors about Concord's African-American and antislavery history. The students toured the house and learned about Robbins' granddaughter, Ellen Garrison, who was a significant member of the social justice community and, after the Civil War, a teacher of newly freed slaves. After pausing for lunch, the students crossed the street to the Old North Bridge, the site of the first shots fired in the Revolutionary War. They learned the history of that first battle, the Battle of Concord, and interacted with a live actor who pretended to be from 1775. Talking to the live actor was very popular among the students and they asked thought-provoking questions. The final stop was the Concord Museum, where the students continued to learn about the vast history of Concord. The students walked through beautiful period rooms and learned about famous residents Ralph Waldo Emerson and Henry David Thoreau. At the end, some students bought souvenirs in the Museum's shop to commemorate their trip. We want to give a huge thank you to Jenny Gratz at the Concord Museum, Maria Madison at the Robbins House, Donna Berube at the deCordova, and all of their tour guides for planning and executing an amazing day full of educational opportunity for our students. We would also like to thank Boston Advisory Board Member Louis Salemy for helping us set up this awesome day.